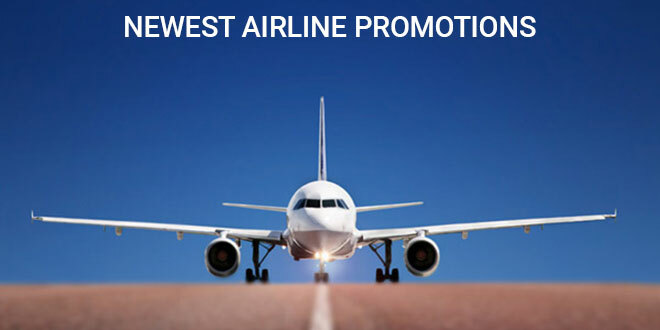 The newest airline promotions, updated in April 2019. Discover cheap airfares with Singapore Airlines, Cathay Pacific, SilkAir, Tigerair, Scoot, Jetstar and Air Asia. We’ll be updating this list whenever a new airline promotion is released. Stay tuned. On 23 Apr, from 07.00 to 23.59hr, Scoot will be offering 50% off over 50 destinations, including Hong Kong, Bangkok, Jakarta, Hanoi, Bali, Sydney, Athens, Osaka and more. Travel with a companion to Asia and North America with Cathay Pacific special Two-to-travel fares from SGD$228 all-in per person. Offer ends 16 April 2019. Enjoy All-in return fares from $168 to over 90 cities worldwide. Flights to Bangkok from $248, Hong Kong from $308, Taipei from $448, Tokyo from $648, Seoul from $748 and more! Sale ends 30 Sep 2019. Checkout SilkAir early bird fares from $168 all-in return to over 90 destinations worldwide. Sale period: from now to 30 September 2019. Enjoy S$0 fares + airport tax to exciting destinations, including Ho Chi Minh City, Hong Kong, Melbourne and more. Sale ends 7 April 11.59pm SGT. Malaysia Airlines is offering great discount to selected destinations via Zuji. Fares start from $110 All-in return. Book by 27 Aug 2018. Travel by 30 Jun 2019. Enjoy fabulous fares with Korean Air: Seoul from $591, Los Angeles from $1072 and more! Book by 15 Jun 2018 and eligible for departure before 30 Nov 2018.